The Department of Health are hosting public consultation events in Leeds, Cardiff and London. 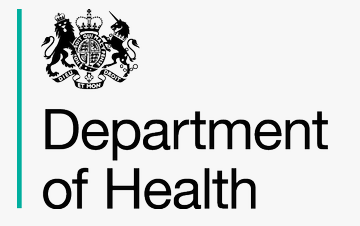 The Department of Health on behalf of HM Government is proposing to clarify the law in certain circumstances in order to encourage responsible medical innovation. Medical innovation has been vital to the dramatic rise in life expectancy of the last century. This country has a proud heritage of medical innovation from Alexander Fleming and the discovery of penicillin to Sir Peter Mansfield’s enabling of magnetic resonance imaging. However, where doctors are innovating outside of a research study, one of the barriers to improved treatment is the possibility of medical negligence claims and the pressure this can place on doctors to practice defensive medicine. Consequently, instead of becoming the latest medical pioneers, doctors may feel obliged to follow standard treatments, even where those standard treatments have poor outcomes. The Government is committed to doing whatever is needed to remove barriers that prevent innovation which can save and improve lives. We must create a climate where clinical pioneers have the freedom to make breakthroughs in treatment. It is important to be clear that we are not suggesting that doctors are concerned about the possibility of a negligence claim in relation to all the treatment decisions they take. However, where there is insufficient or no evidence about the effects of a treatment, a doctor may hesitate to offer it. We are keen to hear views, especially from doctors, on whether medical innovation is being unduly constrained by the possibility of litigation where there is insufficient or no evidence about the effects of a treatment that might otherwise be offered. We also want to hear from patients whose experience suggests that the possibility of litigation has been a factor in their doctor’s attitude to possible innovation. This event is an opportunity for those with an interest to join us to discuss the issues in order to inform the formal consultation process. Click here to view the online consultation. Please note these events are organised by the Department of Health.